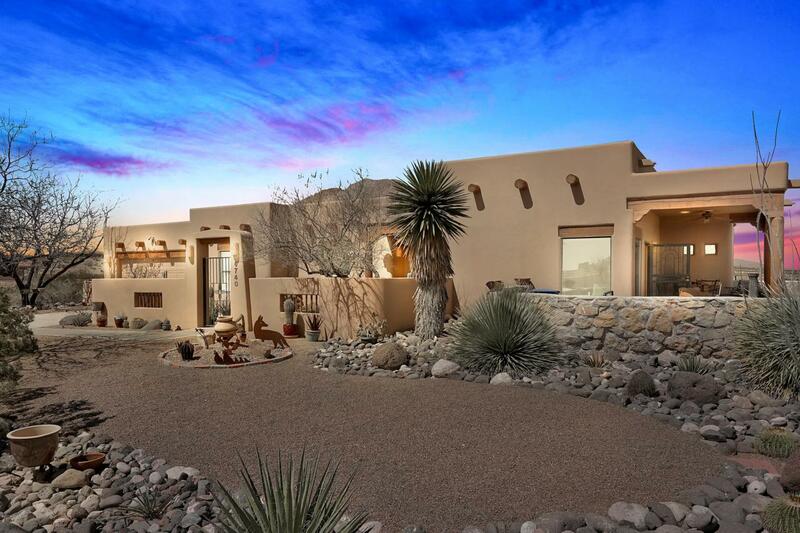 Stunning southwestern charm with incredible attention to detail! This secluded home rests on 1.36 acres in the newly owned and operated Picacho Hills country club and golf course community! You have to see this home to truly appreciate the craftsmanship; featuring corbels, nichos, built in bookshelves, solid wood doors, beams, and vigas! Plenty of living space with an open floor plan, and the front living area could easily be converted to add another bedroom. The outdoor Oasis offers a magnificently maintained yard, two covered patios, a luxurious salt water pool and spa, and panoramic views of the Organ and Picacho mountain ranges! If you're looking for southwestern charm and your own peaceful backyard paradise, search no further! Listing provided courtesy of Austin Tharp of Keller Williams Realty: (575) 527-0880. All listing information was provided by Southern New Mexico Multiple Listing Service.